Made from paper mache and feather. This mask fits most adults. 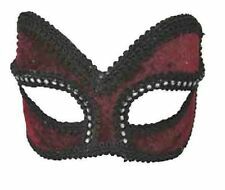 Male Mask Material: Quality Handcrafted Paper Mache. Your Masquerade Event Begins Here. 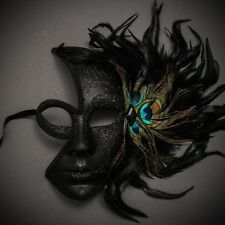 Your Masquerade Event Begins Here. Materials/Techniques: Quality Resin, Stick, silk ribbon ties. The mask is secured to the face with two satin ribbons ties on both sides of the mask. It's just gorgeous! We also have chandelle feather boas, marabou feather boas, feather fans, ostrich feather boas and other feather products available. Your Masquerade Event Begins Here. Materials/Techniques: It's made of High Quality Brocade Lace. 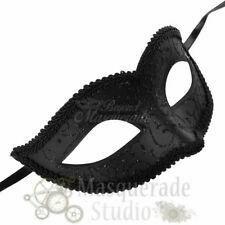 It includes one mask as shown in the picture with elastic band on the back. Spanish Peacock Red Feather Mask. More about this product. Materials/Techniques: Materials/Techniques: It's made of High Quality Brocade Lace Embellished with Gems and Jewels. Your Masquerade Event Begins Here. 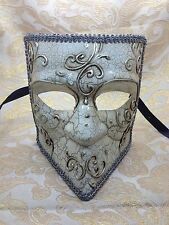 Beautiful Mysterious, intrigue, Unique Venetian "Phantom of Opera" Design Masquerade Mask. Detailed with intricate modern Venetian inspired designs. 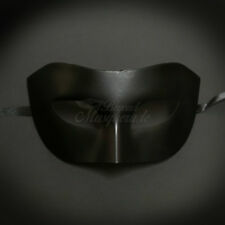 Mask is carefully hand-made with the finest quality and eco-friendly materials comfortable for long hours wearing. Specifically designed with the most popular ancient Roman Greek Warrior Emperor style to give you a mysterious look. 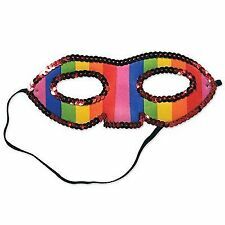 This mask fits most adults. Color: Dark Gold Black. Made from high quality paper molding / paper mache. Trending at $6.71eBay determines this price through a machine learned model of the product's sale prices within the last 90 days. 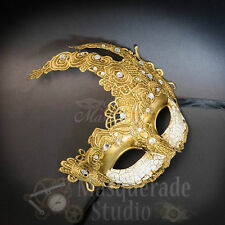 Party Gold With AB Aurora borealis Rhinestone Crystal Masquerade Mask Mardi Gras Party Black Ribbon. 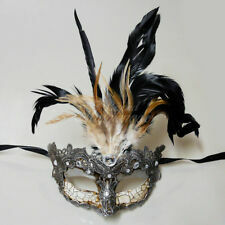 This flamboyant mask if perfect for a masquerade, Halloween, a mardi gras party, for fun, and many many more occasions. 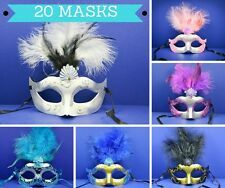 WHOLESALE LOT OF 24 (2 DOZEN) MARDI GRAS MASKS!!! 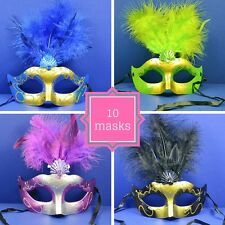 ASSORTED COLORS: GOLD GREEN PURPLE YOU WILL RECEIVE 24 ASSORTED COLOR MASKS EMAIL FOR LARGER QUANTITIES!!! SPECIAL WHOLESALE PRICING AVAILABLE!! !.